A white (or tooth coloured) filling is an alternative to the traditional amalgam metal filling which contains mercury and may appear black or silver. The white filling material is used to replace the part of the tooth that has been lost due to decay or trauma. 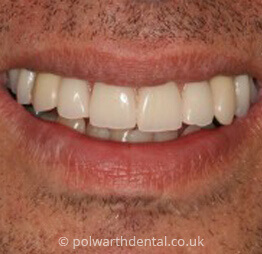 White fillings are routinely used at Polwarth Dental Clinic, allowing us to restore decayed or broken teeth almost invisibly. We can also replace old metal fillings safely with these natural fillings, which blend in with the surface of your teeth and improve the look of your smile. Here at Polwarth Dental Clinic, we use new, state-of-the-art nanotechnology materials that offer superior aesthetics as well as being long lasting and hard wearing. Many fillings required can be quite superficial and you may not require any local anaesthetic. If an anaesthetic is required your gum surface can be numbed with a gel before any anaesthetic is given, painlessly. 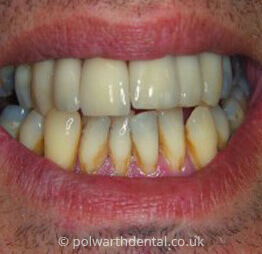 The dentist will then remove the decay and prepare the area ready for the filling. Adhesive is then applied to the area and activated by a blue light. The filling material is added in layers and set with a blue light between each layer. The final layer will be moulded to look like a tooth and then set. For larger cavities at the back of the mouth, when there may be very little tooth left, an inlay or onlay is sometimes the best option. White filling material can also be used for cosmetic bonding. It is moulded into shape and set hard with a blue light. In fact the principal is exactly the same, whether you are filling or bonding. Depending on the location of the filling, you can expect the filling to last you many years. The longevity of cosmetic bonding is difficult to judge. It can last from a few months to many, many years.